There’s some more exciting news and speculation for the mobile device crowd, the news is that Samsung’s MWC 2017 Press Conference is happening this month on February 26. The speculation is a bit more interesting: Samsung may be unveiling a new tablet instead of a phone during the conference based on the conference’s invitation picture. This really isn’t that much information to speculate off of alone, but the FCC has allegedly already certified the Samsung Galaxy Tab S3. You may have noticed the bold “or” between the Snapdragon 820 and the Exynos 7420, this is because we’re not sure what kind of processor this new tablet will have yet. 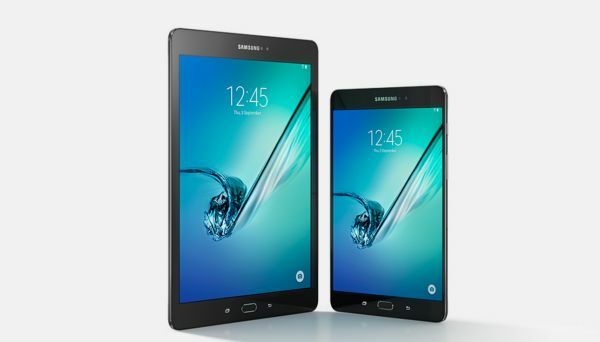 The Samsung Galaxy Tab S2 is a reliable device, and is a popular choice for event tablet rentals, but the Samsung Galaxy Tab line is in more need of something new and more powerful than their flagship phone series. The strangest thing about this is that the MWC 2017 Conference is a phone show first and foremost. However, we all know that Samsung is not bringing their flagship series, the Galaxy S series, an update at the conference this year. It’ll still be a bit surprising to see if these rumors will hold true. This article is going to be a bit different from the norm because instead of talking about things that are currently out and on the market, we’re going to be discussing rumors and wild speculation regarding a super tablet. And I’m not calling it a “super tablet” because I’m referring to the power the tablet’s hardware brings to the table, in this case I’m only talking about size. If rumors are correct, the Nokia company may be releasing an 18.4 inch tablet in its 2017 lineup based on some information dug up from GFXBench. To provide some perspective, an average laptop’s screen size is around 14 to 16 inches. If you’re feeling gutsy and you want a large laptop, most large laptop screens come in around 17.3 inches. If speculation is true, this tablet is going to be bigger than a large laptop, which is strange because most people who buy tablets or get tablet rentals are expecting mobile devices, and I’m not entirely convinced you can consider something that is 18.4 inches to be a mobile device. Another thing to be concerned about if these rumors are true is how much the device will actually weigh. Because Nokia has not yet officially announced this device, and I haven’t seen any mention of a weight for this rumored tablet, we can only guess how much or how little it might weight. Fortunately for us, Nokia is not the first company to release an 18.4 inch tablet, which means we have something we can guess the weight of this rumored device off of.In the far distant past of 2015, Samsung released the Samsung Galaxy View. The Galaxy View was also an 18.4 inch tablet and it weighed in at around 5.8 pounds. This can be a little bit of a surprise if you were to compare this tablet’s weight to some 17.3 inch laptops which can easily weigh over six pounds, but you have to take into consideration the actual hardware which goes into each device. Since this is a Nokia product, the device will probably be coming with Android Nougat as the operating system, unless of course this tablet does not come out relatively soon. Overall, the rumored Nokia 18.4 inch tablet does not sound like it has a whole lot going for it at the moment besides its huge screen, but all tablets don’t have to be processing powerhouses anyway. Because the Nokia tablet won’t be the most portable thing in the world, I’m going to guess its main purpose will be a sort of TV replacer for residential purposes. If you wanted to look at it from more of a business mindset I could see 18.4 inch tablets being a popular conference tablet rental or other event related tablet rental, since they could essentially be used in place of a projector or television in some situations. For example, you could use an 18.4 inch tablet rental for a small conference room meeting or even for display purposes at a convention pavilion. Even if the rumored Nokia tablet may not be a technological powerhouse, it’ll provide a good competitor for the Samsung Galaxy View, which will only encourage both companies to design better products. If you’ve used up a tablets storage space before you probably won’t have to worry about that with a Surface Pro 4. Even if you’re using the Surface Pro 4 like a laptop, it would be a feat to fill up this device’s memory if you get the maximum storage option. The Surface Pro 4 can come equipped with up to a 1 terabyte solid-state drive hard drive. That gives you 1000 gigabytes to work with which is a whole lot of space for event purposes. If you don’t see yourself needing 1000 gigabytes, the Surface Pro 4’s come with a minimum of 128 gigabytes. Microsoft did not skip out on memory when it comes to RAM either. The Surface Pro 4 can come with up to 16 gigabytes of DDR3 RAM. To provide a comparison, most laptops come with either 6 or 8 gigabytes of RAM as a default option, which gives some amount of credibility to the Microsoft advertising campaign that these tablets can replace your laptop. Since the Surface Pro 4 is a Microsoft device, it should come as no surprise that the Pro 4 comes equipped with the latest version of Windows: Windows 10. Windows 10 fixed a lot of issues prevalent in Windows 8 and 8.1, and Windows 10 itself has had a lot of time for improvement since its release. Although you may not necessarily require every single one of your attendees to be using the audio on your Microsoft Surface Pro 4’s, you will still be pleased to know that the audio quality delivered by the Surface Pro 4 when in use can be both loud and clear at the same time. The Surface Pro 4’s display details are also impressive for a tablet. 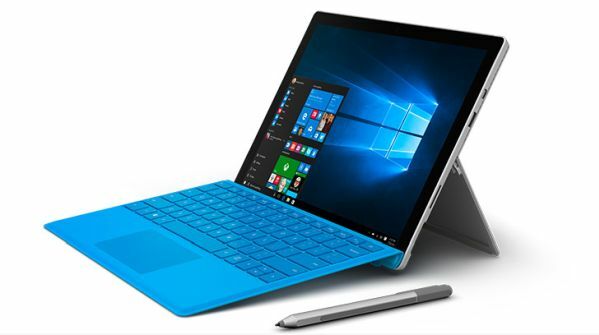 The screen size of a Surface Pro 4 is 12.3 inches with an aspect ratio of 3:2. Surface Pro 4’s have resolutions of 2736×1824, and displays 267 pixels per inch. Lastly, one of my personal preferences when looking at display qualities is screen reflection, which has fortunately been decreased from the Surface Pro 3. The Surface Pro 4 is a powerhouse of a tablet, and is a definite improvement to its predecessor, the Surface Pro 3. If you think the tablets you have at your next event will require a lot of power, storage space, or even just the Windows 10 operating system, get Surface Pro 4 event rentals for your next event. Conferences and conventions can be very hectic affairs. Conferences can experience a whole lot of traffic before and between keynote speakers and breakout rooms, and conventions can just be busy non-stop. Due to the large amount of activity going on, keeping things orderly can be a bit of a challenge, and when you’re dealing with rented technology you really want to keep things orderly. One way of regaining some control over your next big event is by renting tablet kiosks. Due to the sleek, user friendly, touchscreen design of most tablets, they make for great kiosk devices. Kiosks with traditional computers are much less space and cost efficient than iPad kiosks rentals. An iPad kiosk has an enclosure which encases the iPad, and these enclosures can only be opened by a key in order to ensure no threat of theft or damage. Most of the enclosure cases are made of metal, and can come in your choice of over 40 color options. There are several ways you can go about implementing your tablet kiosks to make your event more organized. 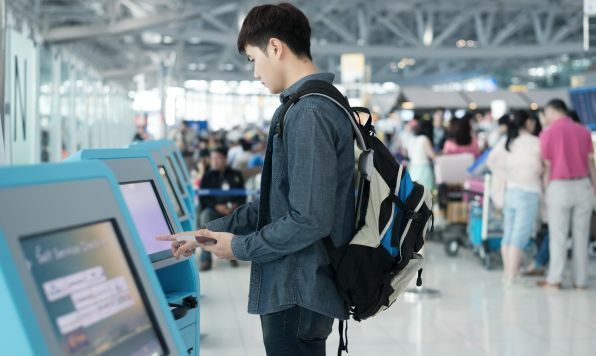 Perhaps one of the most practical applications for a tablet kiosk rentals is to use your kiosks as a registration and check-in system. You will most likely still want a small number of people making sure the people getting into your event are actually supposed to be there, but using tablet kiosks for registration can free up a lot of manpower you will probably need elsewhere. Another way you can improve your event is by getting your tablet kiosk rentals for event engagement. Event engagement being defined in the sense of event participation, not the marriage type of engagement. If you want your event attendees to be entertained and informed, there’s no better way of doing so than by giving them a bit of interaction which can easily be provided through your kiosks. Tablet kiosks, much like their names suggest, are also great for marketing purposes at conventions and trade shows. Tablets are capable of quickly and efficiently storing information which can be used for marketing, which has made them a favorite tool in the arsenal of many event professionals. Be warned though, when using kiosk rentals for this purpose you will want applications which run offline, as the Wifi available at event locations can often be erratic in nature, which will lead to Wifi applications failing to run and possibly losing attendee inputs. There are many uses for tablet kiosks rentals, which can make them a great tool in any event planner’s arsenal. Here’s a tip though: if you want to increase attendee engagement in conferences in which you have speakers, consider sticking with a traditional event tablet rental instead of renting kiosks, which are bolted down to one specific position and take up much more space. If you are running a training session, but don’t want your attendees to be bogged down by the weight and presence of laptops, tablets are capable of providing a perfect alternative for laptops. In order to create a seamless training experience, it is a good idea to rent identical tablets. The people you are training will be making observations on their surroundings, and if they notice a handful white iPad Minis in a sea of black, Samsung Galaxy Tabs, the scene will look a little strange to say the least. Having multiple types of tablets in play can do a whole lot more than make your training session look unprofessional though. If you have multiple types of tablets on the field, you run the risk of essential training programs not functioning correctly. If your training programs don’t run, you’ll spend valuable time trying to fix the issue. Instead of becoming a fixer and wasting your time, you could have just ordered an identical tablet rental for training courses. While, the lack of aesthetic appeal may be a bother to a few people, program malfunctioning will drive the final nail in your coffin of professionalism. The main way to ensure that your training programs run correctly is to make sure you rent tablets with the same operating system. Renting tablets that run the same operating system version will reduce the time spent getting your training program running properly. Not all programs will work on Apple or Android operating systems, so knowing which you need is crucial. It should also be mentioned that different tablets have different processing speeds. This can cause delays in the training course if a third of your class is playing catch up due to differences in technology. 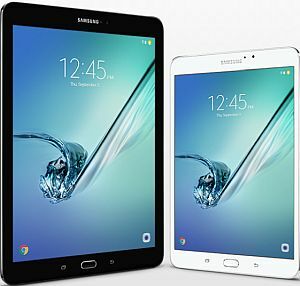 Renting identical tablets prevents lesser tech from weighing down the speed of the class. If you want to plan your training session like a sane individual, don’t mix and match makes and models of tablets, even if you are looking for a large quantity tablet rental. Renting identical tablets will reduce the amount of trouble you have to deal with as a trainer, and give you more time to train. 3 Great Tablets for Your Next Event! There are many things that can make us happy. One such thing is knowing that you have purchased an item that is easily worth the money you spent on it. The technology market is ever changing, but finding a true technological gem is easier said than done. To aid you in your search for greatness, we are providing you three great options to choose from in your hunt for the best tablet! Even with all of these features, the Google Pixel C only weighs in at 0.517 kilograms, which is just a little over one pound. 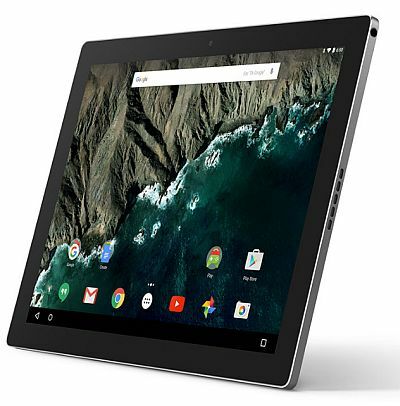 The Pixel C runs Android 6.0 Marshmallow for its operating system and is a powerful, quality tablet. The iPad Mini 4 currently comes with iOS 9. If you are considering getting an iPad, know that you will be getting some of the most user friendly technology in the tablet market bundled with Apple’s classic design. The Galaxy Tab S2 is a very sleek tablet which weighs in at .86 lbs for the 9.7” version, and only .58 lbs for the 8.0” version. While this tablet may not be as glamorous to you as Apple’s iPads, it makes up for it in pricing and storage space. All three of these tablets are great choices if you are looking for the most dependable devices currently on the market. These tablets are great for both personal and business needs. If you need a tablet rental, you can get an affordable rate from us at RentOurTablets.com, or call us at 888-736-8301. Last month Apple announced that iOS 10 will be releasing this fall and unveiled many of the bells and whistles which will accompany the operating system upon its release. 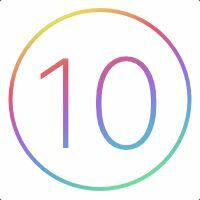 Apple announced 10 new features for iOS10 which they thoroughly delved into during their presentation at the Worldwide Developers Conference, but we can give you a basic rundown of what iOS 10 will do for you. Apple has decided to update several visual aspects of your device with the release of iOS 10. Some fancy new graphics you can look forward to seeing include a redesigned lockscreen and a heavily improved Messages app. Improvements for the Messages app include videos sent inside messages can now be seen and played inside of the Messages app, and emojis will be displayed 3 times larger. QuickType can help you complete your messages in a more timely manner. The Homekit app will now have house accessory support for accessories like security cameras and doorbells. Your device will now be able to show you where you’ve taken your pictures on a world map, and will also be able to sort people into individual photo albums through facial recognition. Apple News will present you with articles based on articles you have already read. Apple has also announced several quality of life improvements which will release alongside iOS 10.Two such improvements are a redesign of the Apple News app and transcripts for voicemail messages. Apple plans to clean up the news app’s interface and give it easier to sort categories. If you need an Apple product rental, look no further. 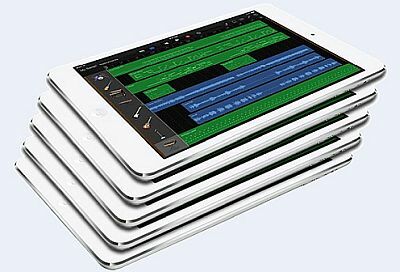 Get an affordable iPad rental today! Apple unveiled many exciting things at the Apple Worldwide Developers Conference which took place last week. One extremely important announcement was Swift Playgrounds. Before discussing Swift Playgrounds, it is important to know what Swift is. For those of you who do not know, Swift is a programming language created and used by Apple that runs on many operating systems, including macOS, iOS, and Linux. Swift Playgrounds is an application that has the goal of teaching Apple’s Swift coding while still being fun for the user. To accomplish this goal, Swift Playgrounds presents itself in the style of a video game. Apple plans to use Swift coding for many years to come, and as a result Swift Playgrounds has the potential to be both a fun and extremely practical application. Swift Playgrounds is planned to fully release this fall and will be available to download for free for all iPhone and iPad users. For additional information on Swift Playgrounds click here. You may have had an iPad for years, or maybe you are just getting your first one. Maybe even a rental? You are probably pretty familiar with your device, and even if you aren’t, Apple’s operating system is probably pretty easy for those of you who are tech savvy to navigate. But not everything is so cut and dry when it comes to tweaking the way your settings should be. I’m here to let you in on a few tricks when it comes to operating your device. Second and perhaps most important, enabling find my iPad. Your iPad is precious to you, but sometimes you might put it down and forget where you left it, or even the inconceivable could happen: it could get stolen. This setting is easy to enable, just go to Settings>iCloud, then scroll down to Find My iPad. You may also want to enable “Send Last Location,” that way if your iPad dies and is lost, you can get its last known location before it was powered down. So you’ve enabled Find My iPad and now your iPad has gone missing, how do you find it? Easy, if you have an iPhone, you can use the “Find My iPhone” application. If you don’t have an iPhone, just sign in to your iCloud.com account and then access Find My iPhone from there. This next tip has to do with the iPad’s Touch ID, the fingerprint sensor that makes for fast and easy lock-screen security. But, if you just use your thumb, or perhaps pointer finger, you can’t always get into your iPad as quickly as you might want. That’s why we recommend that you add more fingers to Touch ID. You can actually log up to five fingers. All you have to do is tap Settings>Touch ID & Passcode, then enter your numeric passcode. Now tap Add a Fingerprint and follow the prompts as many times as you would like (up to 5). For some reason or other Apple’s default setting for the battery gauge doesn’t include numbers, meaning there is no percentage displayed to show you how long your battery will last. Perhaps it’s so it looks like your iPad’s charge lasts longer than it truly does, but who really knows. Fortunately, you can add a numeric gauge and know exactly when your iPad will die. Fix this by going to Settings>Battery then turn on Battery Percentage. Would you like a large quantity of iPads for a business meeting or convention? 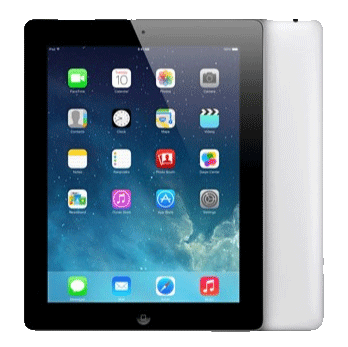 Try an easy iPad rental!